Dark gray fabric updates the style of this spacious sectional. Two textured neutral accent pillows and three additional accent pillows with a modern geometric print on one side pull together the entire look. The Eltmann 3-Piece Sectional with Right Cuddler by Signature Design by Ashley at A1 Furniture & Mattress in the Madison, WI area. Product availability may vary. Contact us for the most current availability on this product. 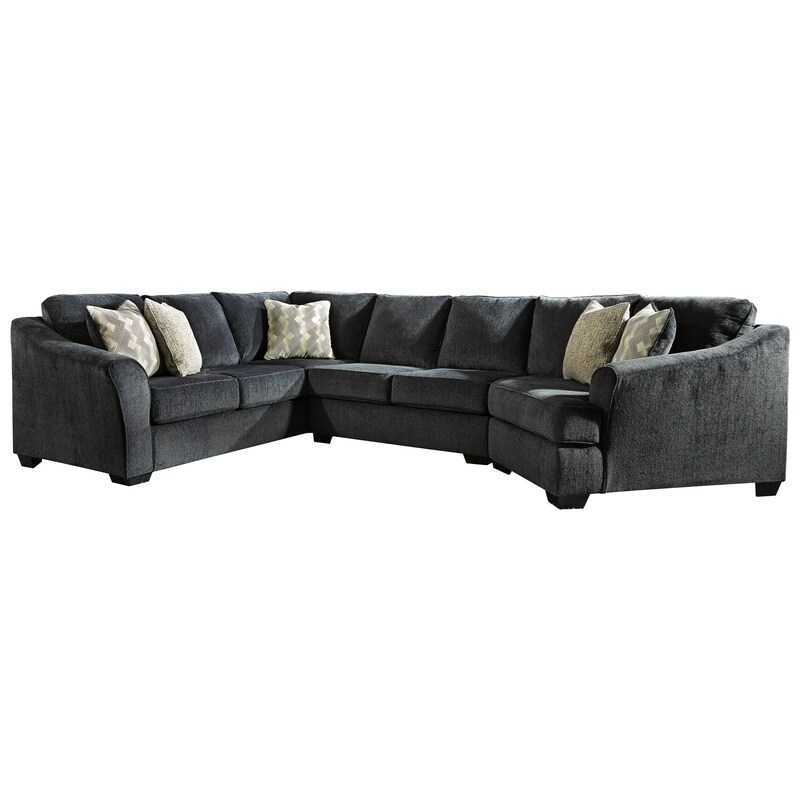 4130375 RAF Cuddler 1 61" 49" 38"
The Eltmann collection is a great option if you are looking for Contemporary furniture in the Madison, WI area.